If you are the proud owner of your home in Canada then you may wonder about home insurance and its basics. After all, you may have spent all your savings to purchase your home and it may be your largest single investment. Knowing that you are adequately insured in case of any damage to your home may give you a peaceful night’s sleep. Well, some events need no invitation such as flood, fire, earthquake, or even hail storm. An unforeseen damage to your home may set you back financially and does take a long time for recovery. That is when home insurance could be of help and solace as you may claim for those damages. In a nutshell, your home insurance provides coverage for the personal belongings, property and personal liability losses for you, your partner or spouse, children and other dependents up to a certain age. 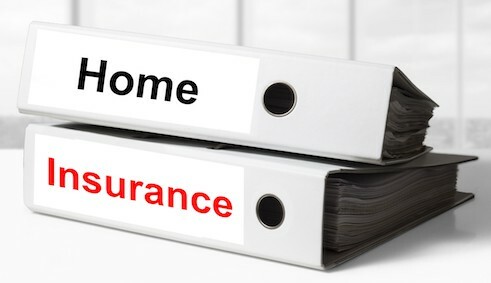 Your home insurance policy may broadly have 3 sections covered. The main building that includes the primary structure, garage, and outbuildings such as a garden shed. The contents inside your home are covered such as furniture, fixtures, carpets, personal items etc. You may have to buy separate insurance to cover your valuables and other antique items, fine arts or pieces of jewelry. The last component is for personal liability that could help you to claim if a damage or injury occurred due to your fault and you may get sued for damages. An example could be if a Canada post mailman slips and falls in your driveway since you did not bother to clear the snow. You may purchase home insurance to protect your contents, residential buildings, and outbuildings. It also helps you to claim for alternative living expenses if your home gets damaged and you cannot live in it while it is being repaired. Personal liability is also a part of your home insurance. On the other hand, if you have a tenant insurance then that covers for only alternative living expenses, damage or loss to personal belongings and personal liability. After auto insurance, home insurance is the second largest insurance sector in the property and casualty industry. When you decide to purchase home insurance in Canada then you may need to choose from 4 categories. It is very vital that you understand the difference in the level of coverage and exclusions that each type of insurance offer. In case you wish to get coverage for the exclusions on your policy then you may ask to add ‘riders’ which are like policy add-ons for which you may pay extra. These ‘riders’ can specify items to be covered that are excluded in the policy. Sometimes, the insurance company may deny coverage and you may have to buy separate coverage for that peril. For example, in a flood-prone area, if flood damage is excluded on your policy then you may have to buy a flood insurance policy separately. The all–perils policy is also known as comprehensive home insurance and is most commonly purchased by homeowners. It provides coverage for both the contents and the building. When you get a comprehensive policy it is best to check for any specific exclusion in the policy wordings. This will avoid any kind of ambiguity and you are not caught by surprise when you discover that a particular peril was excluded under your policy. This policy pretty much covers everything except for those that are excluded which would be specifically mentioned in the policy document. Some examples of exclusions may be a mechanical breakdown, natural wear, and tear, earthquakes etc. The kind of perils that one insurance company excludes may vary from the list of exclusions for another company. So, you may check out your policy to know if there are any specific clauses such as limited or no coverage during any kind of renovation work. If you suffer damage to your home during renovation then your insurer may decline your claim if there was such a clause. When you sign the insurance contract then it is legally binding and you have agreed to all the terms, conditions, exclusions and clauses in that policy. The broad-form home insurance policy protects your home from a damage or loss due to all perils. It does not cover excluded perils. This policy covers your contents against any loss or damage due to a specified peril only. The standard, basic and named perils policy is one and the same. This type of home insurance policy provides coverage against perils that are specifically mentioned in the policy document. Some examples may include fire, flood etc. 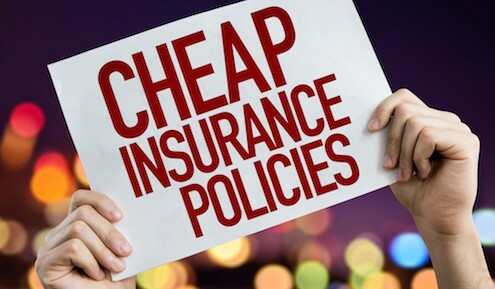 If you are looking to buy insurance coverage for a home that is not as per regular standards of property underwriting then you may check out the no-frills policy. This policy is also known as a bare-bones policy. As per your requirements and the property condition, your insurance agent may help you with this policy. Well, are you looking to buy home insurance and not quite sure what perils are covered and which ones may be excluded by a policy? The home insurance policy should cover the replacement cost of your home. It should cover the main structure that includes the windows, doors, foundation and flooring of your dwelling. In case you have a fence, garden shed or a garage that may be covered under your home insurance too. If you have also purchased contents coverage then that may protect your fridge, television, furniture, clothing, bicycles, freezers, sports equipment, computers etc. The rebuilding cost of your home at the same site is covered by your policy up to the limit mentioned in the document. If you decide to rebuild your home at another location then you may claim as per the depreciated value for your home. The following perils are mostly covered by home insurance policies. Explosions, fire, aircraft or falling objects impact, riot, water, windstorm, smoke, hail, vandalism, electricity, theft and transportation of personal property. Accidental breakage and collapse of glass fixtures due to snow, sleet or ice etc. The liability coverage limit is usually up to 2 million. You may also get coverage for alternative living expenses if your home is being repaired due to some damage. And, landlords may claim for revenue that is lost as rent when there is a damage. In a broad sense, home insurance policies do not provide cover for mortgage payments, the land where your home stands, deductibles, property taxes and condo or strata fees. However, there are certain exclusions that feature on most home insurance policies that you may have to be aware of. Wear & Tear: A commonly overlooked damage to your home would be wear and tear over time. Most home insurance policies may not cover damage to your home if you did not maintain your home to prevent any disrepair. Mold: Any kind of damage, dampness, seepage that arises due to mold growth is deemed as a lack of maintenance by the homeowner. Some policies may cover such damages to a limit while others may totally exclude. So, it is a good idea to take preventative steps to stop mold from growing on your home structure, be it the roof or the exterior walls. Infestations: These may include any kind of damage due to termites or bugs that dig into the walls and cause serious damage over time. You may seek the services of a pest control agency to avoid a nasty surprise and a huge claim denial. Sewer backups: This is a nightmare that most homeowners do not want to deal with when it happens. It is a gray area as few insurance companies may cover a sewer backup while others may not relent. Since the sewer backup is caused due to poor maintenance this may not be covered under certain home insurance policies. Burst pipes: If you have burst pipes due to negligence on your part then it may not be covered. It could start as a small leak that you ignore or just put some adhesive seal on and then in winter when it bursts it may cause more damage than you imagined. Home business: If you conduct a home based business then you need to inform your home insurance provider. Most home insurance policies do not cover business losses due to a calamity or even a liability claim. You may have to purchase a separate commercial coverage. Dangerous dogs: Yes, don’t be surprised if your large dog bites someone and the injured party sues you for injury. Not all breeds of dogs may be covered by your home insurance, especially if your dog is a blacklisted dangerous breed. Trampoline, pool or tree house damages: Any damages or injuries to someone due to a trampoline, pool or tree house within your compound may be excluded. Some insurers do cover pool injuries unless you have a diving board in the pool. Flood: Most insurance companies may not cover flooding due to rain that seeps inside your home. This may apply to you if you live in an area that has more rain than shine. Earthquake: If you live in a risk zone for earthquake then your standard home insurance may not cover for earthquake damages. Your best bet would be to buy an earthquake insurance policy. Certain natural disasters: These may include landslides, tornadoes, tsunami etc. If you happen to live in a known risk area then the chances of that exclusion may be even more. So, for a flood prone area, you may have to buy flood insurance separately. It is very likely that flood damage could be excluded on your home insurance. Nuclear damage: When you live near a nuclear power plant then your home is in a risk zone. Your home insurance may not cover for any damage due to nuclear mishaps. There are chances that the nuclear company may cover you under their liability insurance. Owned properties have higher home insurance costs when you compare them to tenanted properties. An average Canadian may pay around $850 per year for their home insurance. The home insurance cost in British Columbia is considered most expensive ranging around $920 per year. This is closely followed by home insurance costs in Alberta at around $900 per year. Next in line seems to be the home insurance costs for Ontario residents at around $820. Just like auto insurance costs, Quebec residents do seem to pay a lot less for home insurance too at around $760 per year. The above comparison table depicts the market standing of top 10 home insurance companies in the property and casualty industry. It is evident that Intact Financial Corporation, Aviva Canada Inc, and Lloyd’s Underwriters are the top 3 market players. These three companies have taken up around 31.54% of the home insurance market share. This is closely followed by RSA Canada Group, Wawanesa Mutual Insurance, and Co-operators General Insurance Co. They have an average market share of 5.89%. The last segment consists of Desjardins General Insurance Group, TD Insurance, Economical Insurance and Travelers Canada. They have an average of 4.31% market share. In 2015, the P&C industry wrote net home insurance premiums for 17,169,336,000. In the same year, they wrote direct premiums for 18,458,974,000. When it comes to buying insurance be it auto insurance or home insurance, we tend to try for the best coverage at the lowest cost. After all, most owners would keep their home insurance as long as they own that home. So, it is only wise to continue your home insurance without making a dent in your wallet. It may be a good idea to not jump at the first available quote and check out more options. Just like most other things in life, it does help to shop around for home insurance too. Whether it is buying a new home or you are renewing your coverage, it does not hurt to shop. It is very easy to just continue and not make changes with the same existing coverage. As you have all the terms and premiums already set up and you may want to save time. Well, you may instead check with your insurance broker or agent for other insurance company quotes too. You may speak to your friends and family to compare though it may not be an apple to apple comparison. When you try to save insurance premium you may pay attention to comparable coverage, exclusions and policy limits. So, you know that you are paying less but are not compromising your home insurance coverage level. Each insurance company has a different set of calculations when they arrive at a premium. Raise your deductibles: Just like auto insurance, you may increase the deductibles on your home insurance. This will help to bring down your premiums too. Bundle your policies: If you combine your home insurance and auto insurance with the same provider then you may save some money. Generally, insurance companies may give you anywhere between 2.5% to 15% discount for multi-products. Install preventative measures: When you fit a burglar alarm, smoke detector or other security feature for the safety of your home then that could also earn you some discount. Employer, associations or loyalty discounts also may help to reduce your premiums. Certain insurance companies may give discounts on home insurance to retired home buyers. If you and your family members are non-smokers then that may also reduce your insurance cost to some extent. Review your home insurance coverage to make sure that you are paying only for what you need protection. By keeping an updated inventory you may ensure that your home insurance is adequate and you are not overpaying for premiums. You may also occasionally reappraise your jewelry or other high-value items to check that you have sufficient coverage. With a bit of forethought, careful planning and awareness you may get the ideal home insurance package that protects your dream home. Ignorance is not bliss when it comes to your home insurance and it does help to stay informed. When you purchase your home, a very important decision needs to be made whether or not you need home insurance. Some first-time homebuyers choose to not have home insurance at all as per their affordability. Others think that home insurance may not be required if they are ‘careful’ enough and live in a ‘safe’ area. In Canada, it is not mandatory to have home insurance, unlike auto insurance. You may purchase home insurance as per your requirement when you buy your home or later on. It covers cottage, home, mobile home, condominium as well as tenant insurance. No, homeowners may not claim a tax deduction for their home insurance premiums in Canada. There are other aspects of home ownership that may help you to claim a tax deduction.